A $92-million expansion completed earlier this year (2012) at the Little Patuxent Water Reclamation Plant (LPWRP) in Savage, MD, presents a model integration of bellwether aeration, disinfection and enhanced nutrient removal (ENR) systems added in tandem with other infrastructure upgrades, that have significantly improved the plant’s effluent and reduced harmful nutrients from reaching Chesapeake Bay. 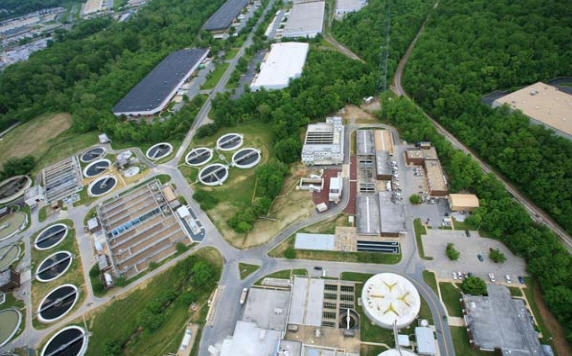 The upgrades enable the plant to meet the goals set by the Third Chesapeake Bay Agreement (2000) and enactment of the US EPA’s Stage 2 Disinfectants and Disinfection Byproducts Rule (DBP rule). The plant operates at a permit rating of 25 mgd.